When Will Bond Markets Join the 21st Century? Fundamental problems with the way bonds are traded have added to the current volatility. 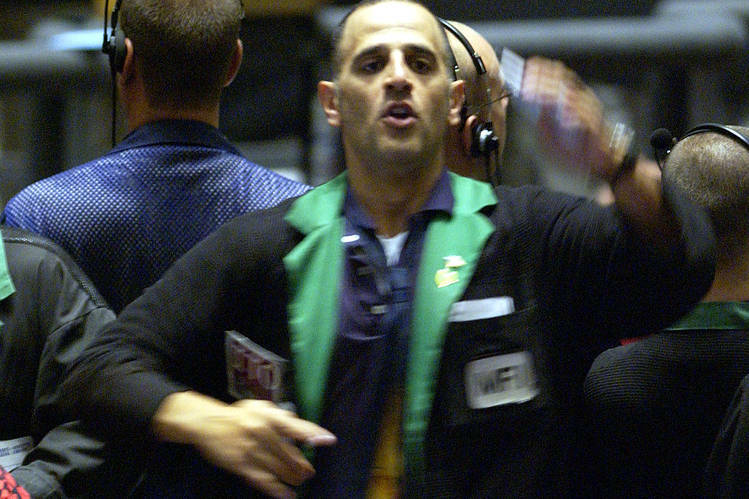 Bond-market gyrations are giving investors and regulators the jitters. Much of the volatility is due to concerns about the potential for rising interest rates and a slowing economy. But it is also due to decreasing liquidity in the bond markets, thanks in part to traders who have migrated to the credit-default-swap markets where essentially the same credit risks trade. And some illiquidity is due to fundamental problems with the structure of bond-market trading. In bond markets, dealers participate in almost all trades when they provide liquidity to their clients. Much trade in these markets is still conducted over the telephone, which means that trades occur as a result of a series of bilateral conversations among human broker-dealers and their clients. In contrast, most equity-market liquidity comes from investors trading directly with each other at electronic exchanges. In other words, equity markets operate in the 21st century whereas bond markets still operate in the 19th century. As a result, bond-trading costs dwarf those seen in the equity markets, especially for non-institutional investors. Small investors often pay 50 to 100 times more to trade the bonds of a corporation than they do to trade the same corporation’s stock shares. The contrast is particularly disconcerting because bonds generally are much less risky than equities and thus should be much cheaper to trade. The Securities and Exchange Commission could rapidly and substantially improve bond-market efficiency by requiring brokers to post their customers’ limit orders to an electronically accessible broker platform or alternative trading system. Once posted, one investor’s limit order could trade against another investor’s order without dealer intermediation. As similar requirements have done for stock limit orders, this would significantly improve bond-trading transparency and execution. Dealers would remain important in the bond markets because investors rarely are present on both sides of the market at the same time for many bonds. But when they are, they should be able to easily trade with each other if they can trade at more favorable prices than dealers offer. Reducing the dependence of bond markets on dealers—many of whom are subject to increasing regulation of their trading—will improve market liquidity, and thereby attenuate volatility. Practitioners recognize that the interest-rate and credit risks of holding a corporate bond are similar to the combined risks of holding a Treasury bond (pure interest-rate risk) and some shares of the corporation’s stock (pure credit risk). With this understanding, the illiquidity of the corporate bond market is particularly surprising because government bonds and corporate equities both trade in highly efficient transparent electronic markets. The examples of these related markets suggest that greater transparency and more direct access for investors will substantially improve corporate bond markets. Municipal bond markets also would benefit from these changes. In 2014 Michael Lewis identified several concerns about electronic equity markets in his book “Flash Boys.” Fixing problems in these markets would save investors a couple of basis points in execution costs here and there. These gains are minor compared to the efficiency gains possible in the bond markets. A few simple rule changes designed to harness the forces of competition and technology to better serve bond investors could rapidly achieve these efficiencies. Partly in response to the concerns that Mr. Lewis raised, the SEC created a new Equity Market Structure Advisory Committee that met for the first time this month. At a minimum, the SEC should also convene an advisory committee to address bond-market structure issues. It would be wise to do so before another clever author focuses the public’s attention on them. In the meantime, investors continue to pay more than they should to trade bonds. As investors approach retirement, many reallocate their portfolios from equities to fixed income. The aging of populations in all developed countries suggests that fixed-income markets will be of increasing importance to investors. Now is the time to bring them into the 21st century. Mr. Harris is a professor at the USC Marshall School of Business and a member of the Financial Economists Roundtable, from whose 2015 policy statement this op-ed was adapted.